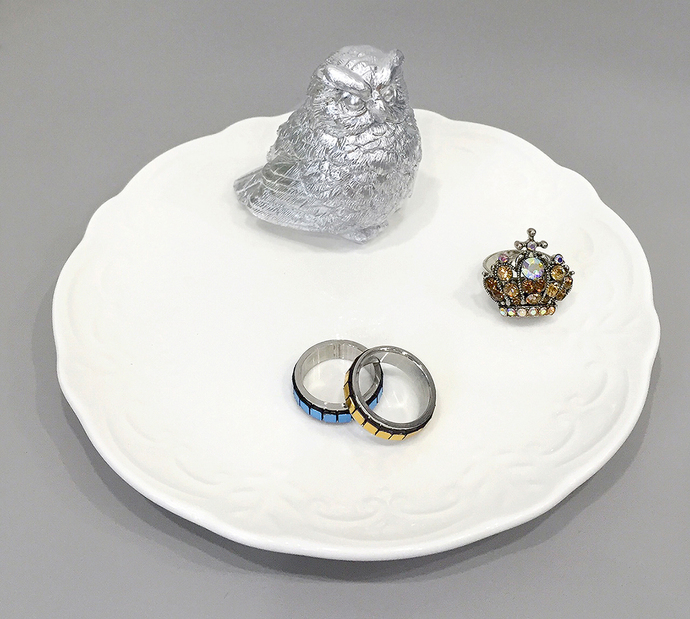 This little Deer White ceramic dish is the perfect item to hold your soap, toiletries, and your favorite piece of jewelry, rings and etc. Makes perfect gift for housewarming, birthday and Christmas too! 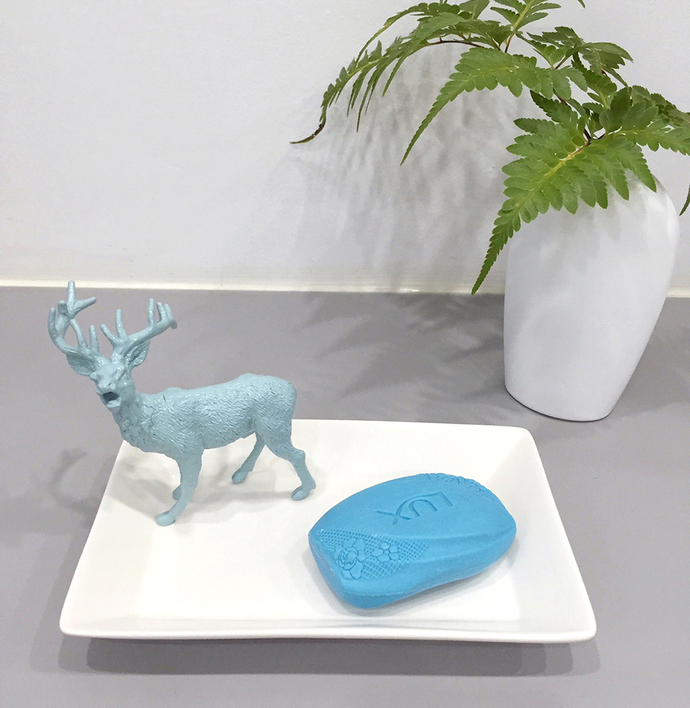 White ceramic dish measures at Length 18.5CM X Width 12CM, while the re-purposed plastic deer toy is paint by me in Mint Blue. Fixed it on the dish with strong ceramic glue. *Wash in water. Avoid scrubbing on the deer.